One related chord scale for this scale is the C Major (Ionian) scale. The reason for this is that all of the notes in the C major triad are found in the C major scale. 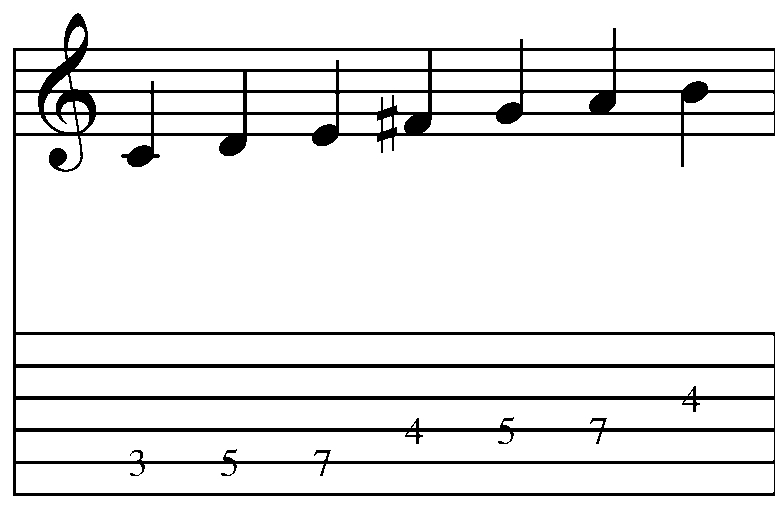 While there is nothing wrong with this approach, in addition to being a fairly bland melodic color to utilize, it contains the 4th scale degree (F), which is often referred to as an avoid note because of its 1/2 step relationship to E.
One solution to this is to use modal interchange to find alternate scales that work over a triad. For example, C Major is a diatonic chord in the key of G. Playing a G major scale starting and ending on C produces a C Lydian scale. This scale works well with the triad. 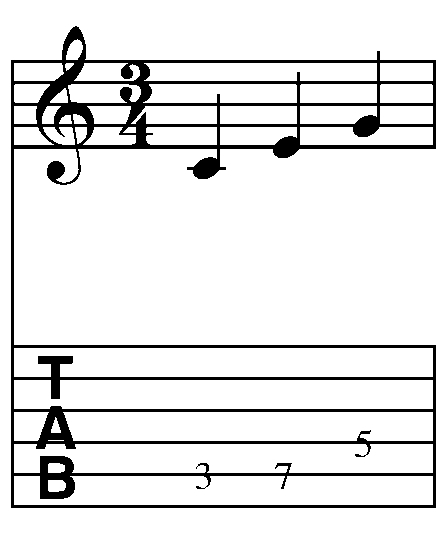 In addition to containing the C major triad, it also has a raised fourth degree (aka #11), which adds a nice tension. But this is merely scratching the surface of what can be found from this approach. Here ‘s a process for generating any chord scale based on a chord. Step 1: Start with a chord and write out the notes of the chord in ascending order. Note: the smaller the chord, the more scale options you will have. Let’s now look at the C major triad as a chord formula. Since it’s made up of the notes C, E and G any parent scale for C major chord should contain these notes (at least for now). Step 2: Between the notes of the chord, write in all possible notes for each additional scale degree. For example, in the Ionian and Lydian chord scale examples above, the 2nd degree was D, but it could have just as easily been Db or D#. Expanding on this idea, the 4th could either be F natural or F#, the 6th could either be Ab, A natural or A#, and the 7th could either be Bb, B natural or B#. 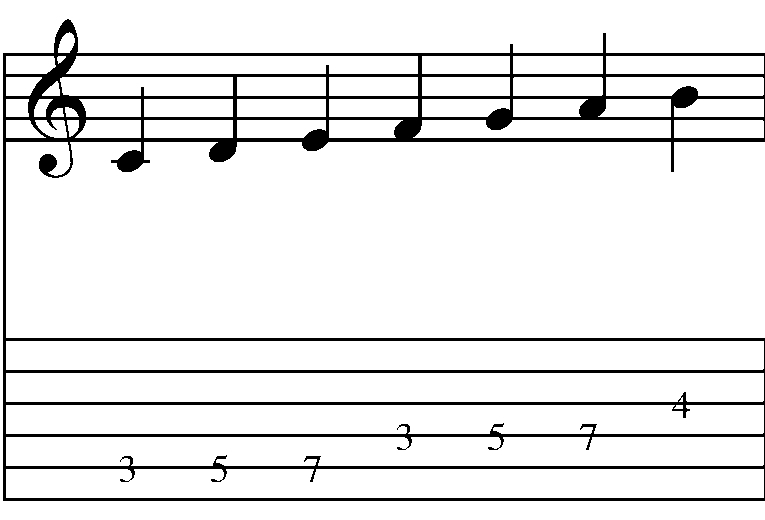 Note: If you are planning on harmonizing the scale, deriving modal arpeggios or pentatonics, I recommend you keep each scale degree unique (i.e. that you use either Db or D or D#, but not more than one type of D pitch). Likewise, there are several enharmonic pitches (i.e. pitches that are spelled differently but sound the same) presented in the full chromatic. While you could use A# and Bb in a chord scale since they are the same sounding pitch the result will be a 6 note scale. Step 3: Choose the scale degrees that sound the best to you. 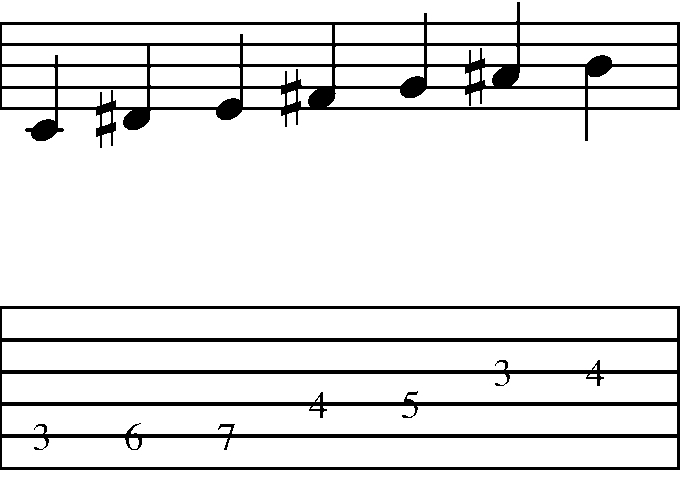 Based on the above parameters, there are 32 unique chord scales for the C major triad. Let’s look at one of them. This scale has a # 2, # 4, and a b6 scale degree. 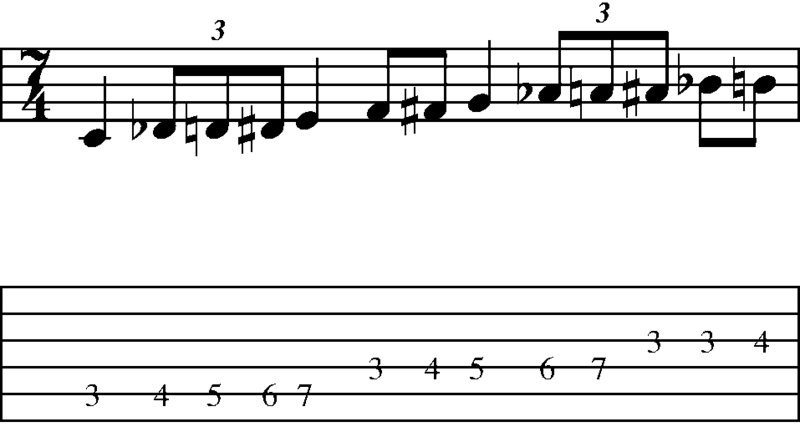 In the next lesson – we’ll examine how the scale is harmonized and generate some licks derived from this technique. The material in the lesson is adapted from the material in The GuitArchitect’s Guide To Chord Scales book. More information about that book (including an overview and jpegs of sample pages) can be found here. I hope this helps! You’re free to download and distribute any of the lessons here but I maintain the copyright on the material. This entry was posted in Lessons and tagged Applied Theory, build your own chord scales, custom chord scales, Guitar chord scales, Guitar theory, Guitarchitecture, improvisation, Improvisation lesson, Improvisation tutorial, Online Guitar Lesson, Practice techniques, Scott Collins by GuitArchitecture. Bookmark the permalink.